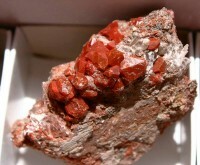 Blog destinado al coleccionista de minerales. 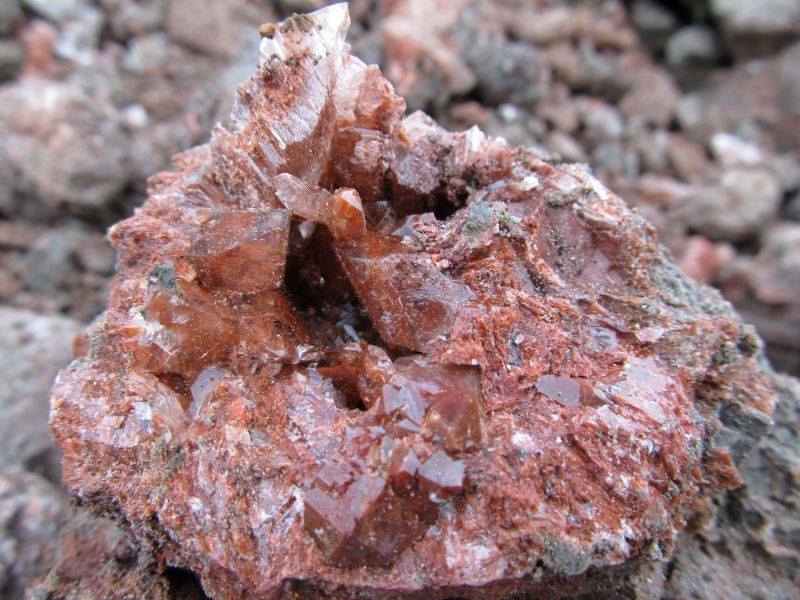 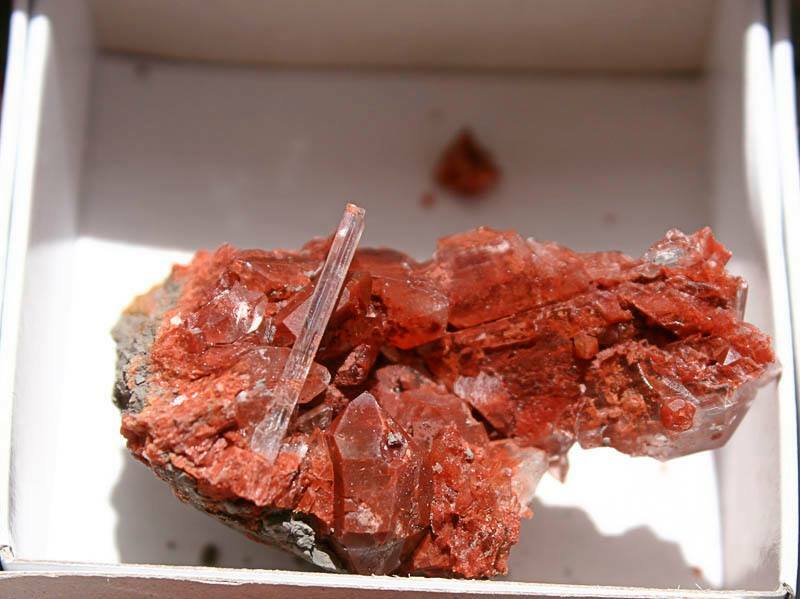 Chella is a well known town for their Jacinto de Compostela quartz. 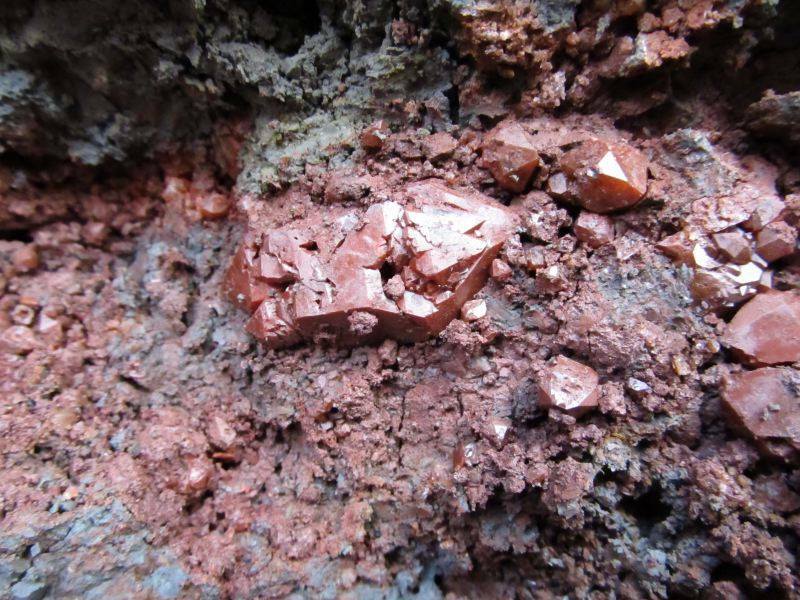 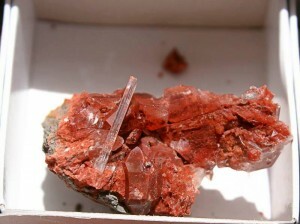 Is easy to find small double terminated red quartz (to 1 cm.) 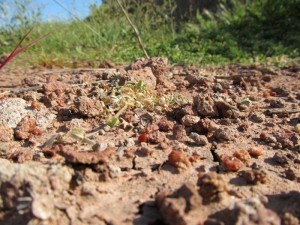 in the cultivated fields. Working hard is possible to find crystals to 4 cm in gypsum pockets. 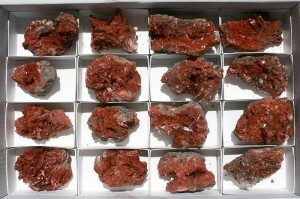 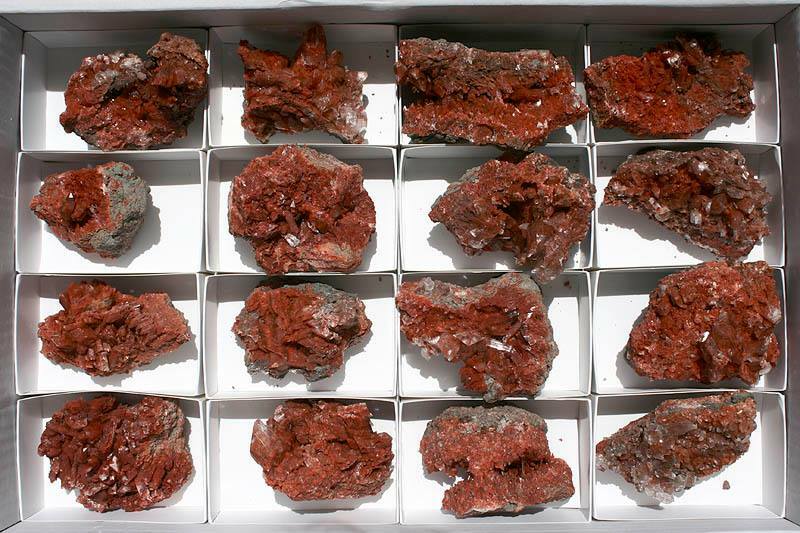 Jacintos de Compostela (Double terminated crystals of red quartz) in red gypsum matrix (natural) crystallized, from Chella, Valencia (Spain), Prepared in boxes. Esta entrada fue publicada en Viajes el 5 junio, 2015 por Jurado.